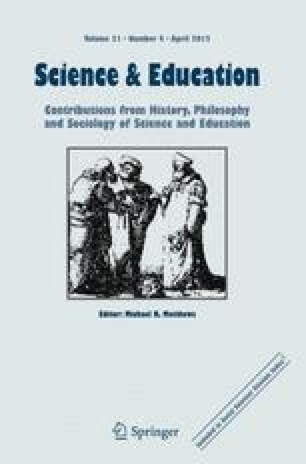 A major source of difficulties in promoting students’ understanding of genetics lies in the presentation of gene concepts and models in an inconsistent and largely ahistorical manner, merely amalgamated in hybrid views, as if they constituted linear developments, instead of being built for different purposes and employed in specific contexts. In this paper, we report the results of a study about how textbooks can provide the grounds for the students’ construction of such hybrid views about genes. These views are a key problem in genetics teaching, because they make it more difficult that students properly understand this central biological concept and strengthen genetic deterministic ideas, which characterize a widespread discourse about genes in the public opinion. We analyzed 18 textbooks using categorical content analysis, employing categories derived from the literature addressing the historical development of gene models and concepts. Our findings indicate that the analyzed textbooks do convey hybrid views about genes, with no correspondence to scientific models related to this biological concept. These views reinforce genetic deterministic discourses and may lead students to serious misunderstandings about the nature of genes and their role in living systems, with consequences to future learning about genetics. We would like to thank the Coordination for Improvement of Higher Education Personnel (CAPES) and the Bahia State Research Support Foundation (FAPESB) for graduate studies grants, and The National Council for Scientific and Technological Development (CNPq) and FAPESB for financial support. T1: Amabis JM, Martho GR (2005) Biologia. São Paulo, SP: Moderna. T2: Borba AA, Cançado OFL (2005) Biologia. Curitiba, PR: Positivo. T3: Borba AA, Crozetta MAS, Lago SR (2005) Biologia. São Paulo, SP: IBEP. T4 : Boschilia C (2005) Biologia sem segredos. São Paulo, SP: RIDEEL. T5: Carvalho W (2005) Biologia em foco. São Paulo, SP: FTD. T6: Cheida LE (2005) Biologia integrada. São Paulo, SP: FTD. T7: Coimbra MAC, Rubio PC, Corazzini R, Rodrigues RNC, Waldhelm MCV (2005) Biologia—Projeto escola e cidadania para todos. São Paulo, SP: Editora do Brasil. T8: Faucz FR, Quintilham CT (2005) Biologia: Caminho da vida. Curitiba, PR: Base. T9: Favaretto JA, Mercadante C (2005) Biologia. São Paulo, SP: Moderna. T10: Frota-Pessoa O (2005) Biologia. São Paulo, SP: Scipione. T11: Gainotti A, Modelli A (2005) Biologia. São Paulo, SP: Scipione. T12: Laurence J (2005) Biologia. São Paulo, SP: Nova Geração. T13: Linhares S, Gewandsznajder F (2005) Biologia. São Paulo, SP: Ática. T14: Lopes S, Rosso S (2005) Biologia. São Paulo, SP: Saraiva. T15: Machado SWS (2005) Biologia. São Paulo, SP: Scipione. T16: Morandini C, Bellinello LC (2005) Biologia. São Paulo, SP: Atual. T17: Paulino WR (2005) Biologia. São Paulo, SP: Ática. T18: Silva-Júnior C, Sasson S (2005) Biologia. São Paulo, SP: Saraiva. Beltrán, I. B., Ramalho, B. L., Silva, I. P., & Campos, A. N. (2003). A seleção dos livros didáticos: Um saber necessário ao professor. O caso do ensino de Ciências (Textbook selection: A necessary knowledge for the teacher. The case of science education). Revista Iberoamericana de Educación, 25/04/03. http://www.rieoei.org/deloslectores/427Beltran.pdf. Accessed 8 December 2009. Johannsen, W. (1909). Elemente der exakten erblichkeitslehre. Jena, Germany: Gustav Fischer. http://caliban.mpiz-koeln.mpg.de/johannsen/elemente/johannsen_elemente_der_exakten_erblichkeitslehre_2.pdf. Accessed 27 July 2010. Pigliucci, M., & Boudry, M. (2010). Why machine-information metaphors are bad for science and science education. Science & Education. doi: 10.1007/s11191-010-9267-6.